So, as you all know I've recently come back from sunny Las Vegas and had been saving up for that trip for ages! However, I didn't quite spend as much as I had provisioned for... This is a good thing, mind, because today I converted my dollars back and went on a little spree. Haul time! From my previous 'wishlist' posts I think you can see a trend forming... 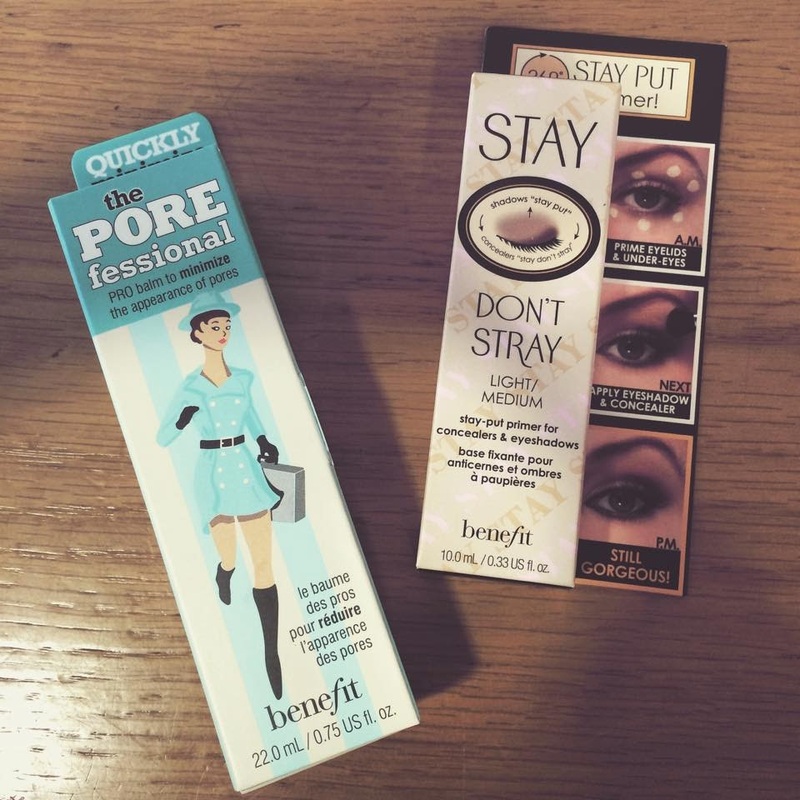 Benefit's Professional has been on that list for a long ol' while now and guess what... She finally took the plunge! 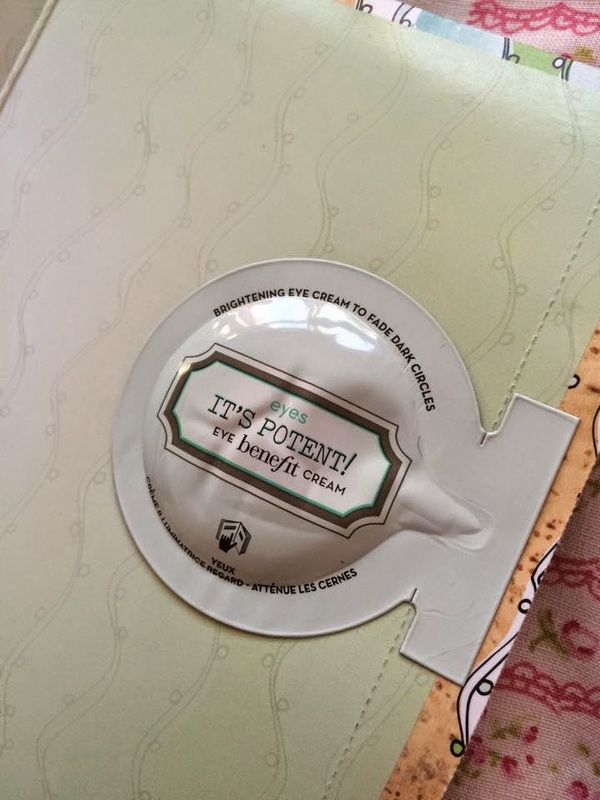 I popped along to Debenhams in White City Westfield in London today and had done my research prior to my visit so, like a true woman on a mission, I rocked up to that Benefit stall and grabbed myself my long awaited Professional primer. HAPPY DAYS. 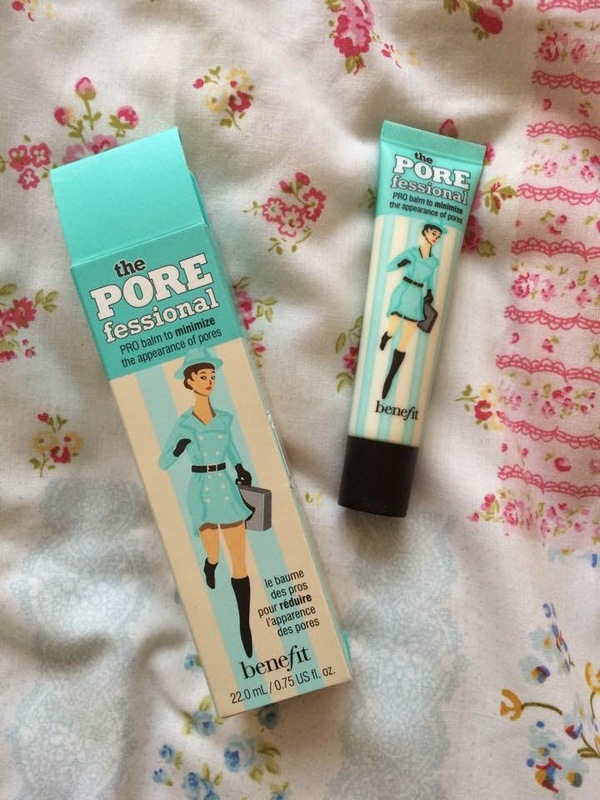 However, recently I've had my eye on another priming product of Benefit's... 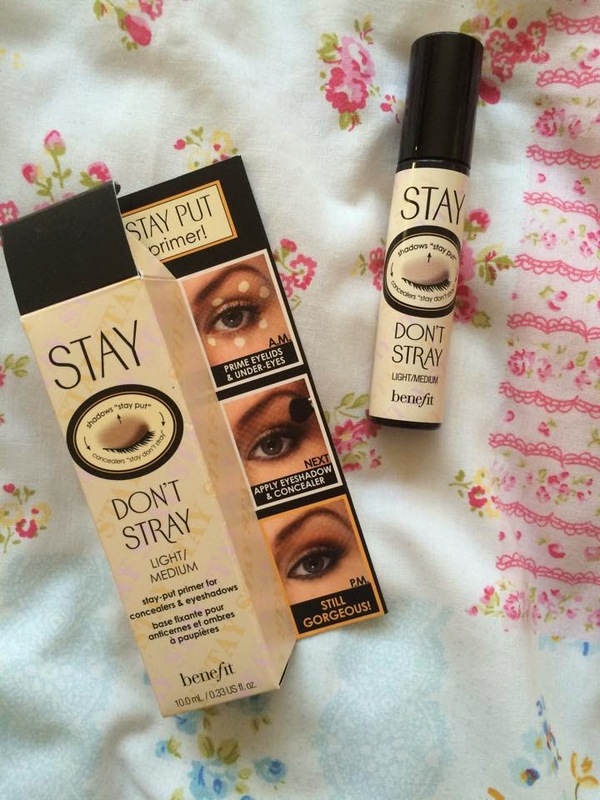 The 'Stay Don't Stray' eye primer. This little beauty is said to make your concealer STOP creasing (mine does that allllllllll the time) and keep your eye shadow put for the whole day. I thought I'd test this little gem out. A review will be coming your way very soon my lovelies. Both of these products came to £45 together - a pretty big hit to the purse but, don't worry, I was prepared ;). My next pit stop took my to a number of different shops in search for a denim jacket. 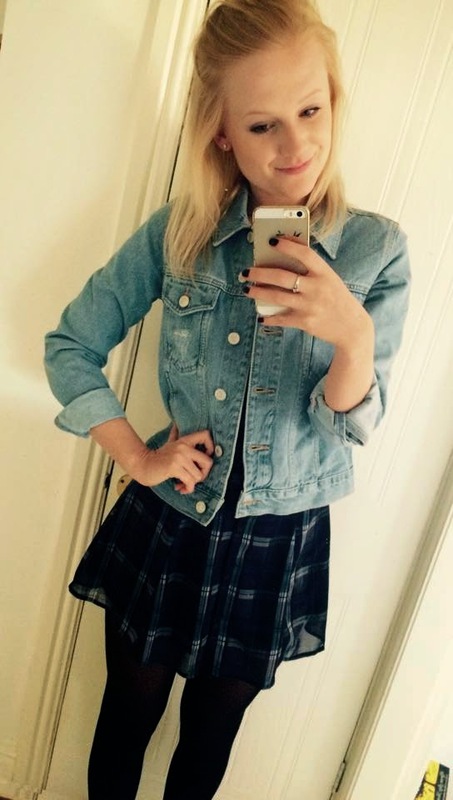 I have been desparate to find a denim jacket I could fall in love with. It's been an impossible task for years... I came to the conclusion I just don't suit them... How awful!! Ha. Anywho... I stumbled across a gorgeous range of denim in TopShop and fell head over heels for this little beauty. TopShop's current collection is to die for. Love love love. They have a crazy range of blazers and jackets and I have been torn between the oversized Western jacket and the regular, fitted jacket in light, for a while now. 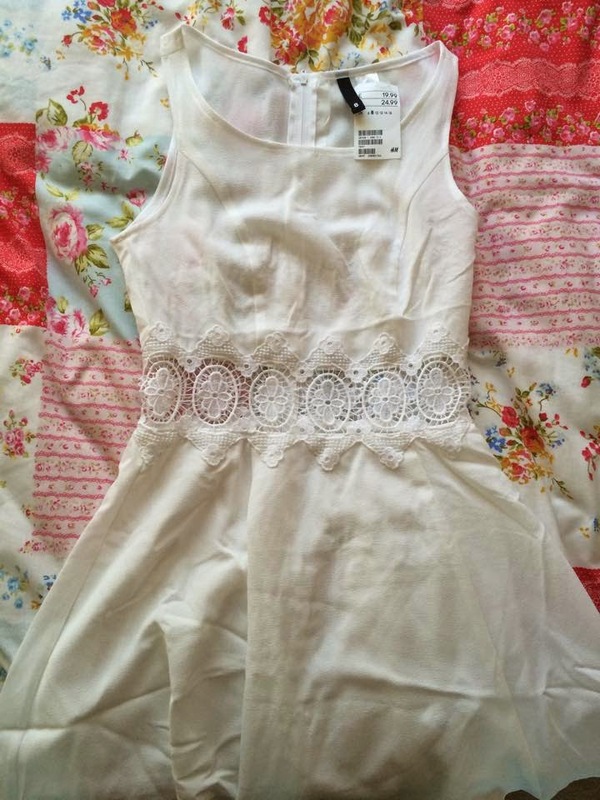 I tried a load on today and has a fiasco when the TopShop in Knightsbridge didn't have an 8... They even called up a few other nearby stores and NO. So, I travelled to the opposite side of London for this puppy. Now she's all mine... WOO. £35.10 with my NUS discount. Bingo. At the moment the weather is starting to really pick up so it's too hot for coats but just a little too chilly to not have a jacket so this bad boy will be a staple item for a while methinks. 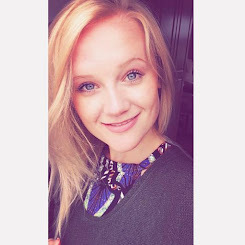 Another thing I feel my wardrobe is lacking is a nice collection of casual, summery, girly dresses I can wear with or without tights and with or without my new denim jacket :P. So, H&M it was! I tried on a few options but these two worked it most. H&M have a gorgeous range in at the moment for Coachella in America. Luckily, us Brits get the range too. 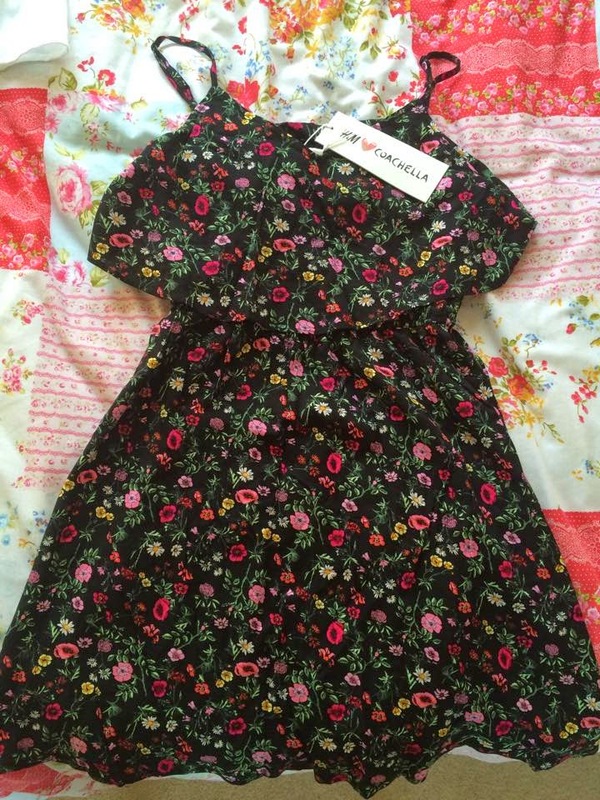 I love both of these dresses and can't wait to whack them out when the sun peeps out even more soon. These two cost me £30 all together. Not too shabby. And that, my friends, is all my left over dollars gone gone gone. I hope you liked that little haul and are loving shopping for your Summer '15 wardrobe essentials. Hello again, gorgeous ones. Recently I've been on my Easter break from school which is a nice relief after a hectic but amazing term. I've just got back from an amazing week in Las Vegas with my best friend (a post of all things Vegas will be hitting this page soon!). Whilst I was out there, I fell in love with shopping all over again, haha. The busy nature of my term time life leaves me no time to shop (helpful for that ol' bank balance) but having a break from school and a vacay meant I'd saved up enough to treat myself big time! America's M.A.C. 's are to die for: basically all labelled the same pricing as the UK but in dollars so it makes it all about a third cheaper! Happy days! 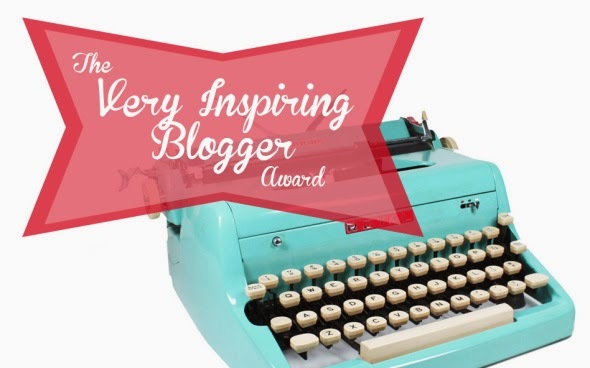 My make up bag has been needing a slight re-fuel for some time so I'm going to show you what I got my hands on! First of all is my must-have M.A.C. 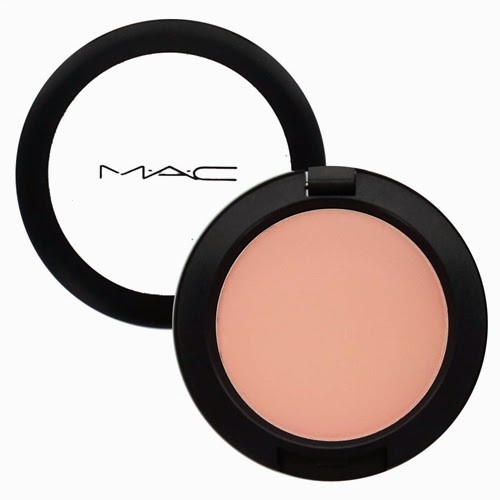 product which I ran out of in January time so am so happy to have this bad boy back in my life: it's the M.A.C. Mineralise Skin Finish Powder which retails at about £25. 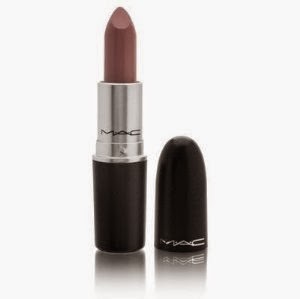 I absolutely adore this power - the finish is flawless and the wear is so durable. It has a gorgeous matte finish and is the perfect shade for me in 'light'. This is my all time favourite powder by a long shot! The reason I'm showing them like this is because I've shamelessly already worn them so they don't look wondrously fresh anymore :( BUT... They are incredible. I went out last night, ate a subway on my way out and my lipstick was still on point. Five hours late, still rockin' it... WOW. These babies are normally £15 but I got them for $16 each which is about £11 so WOOOO. Wins all round here people! To go with these beauties I decided to up my game and get myself a cheeky lip liner (there is nothing 'cheeky' about it but I felt that was necessary). I've wanted one for a while but never felt lipstick was my thing - ohhhh how I have changed! 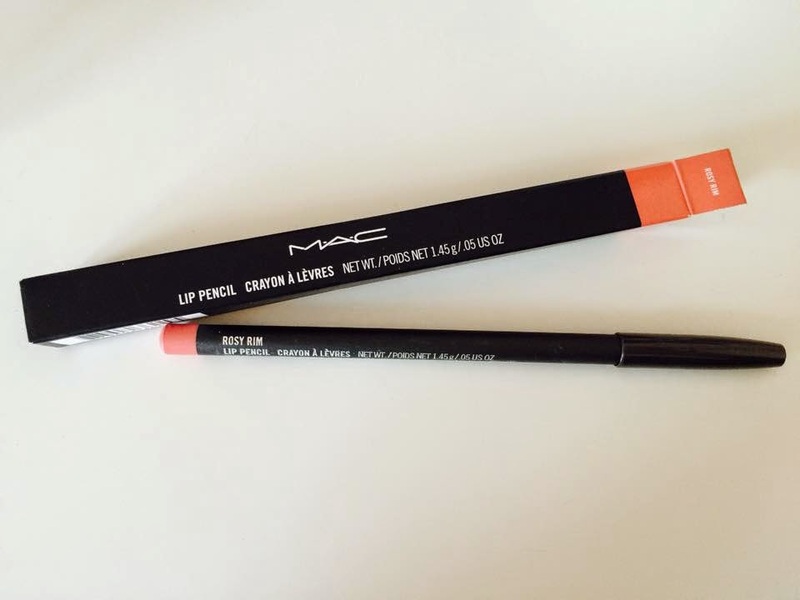 Lip liners are so essential for getting that seamless, bold look which I am loving at the mo. I asked the beautician in M.A.C. which colour would work best for neutrals and she directed me to the Rosy Rim liner. 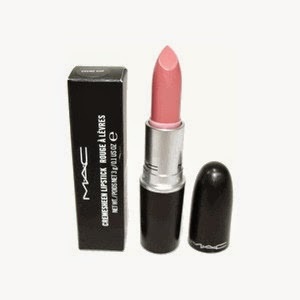 It's gorgeous and blends in so perfectly with both of my new lipstick shades. I might grab a bolder liner when I get brave enough to experiment with darker colours as we edge ever closer to summer! 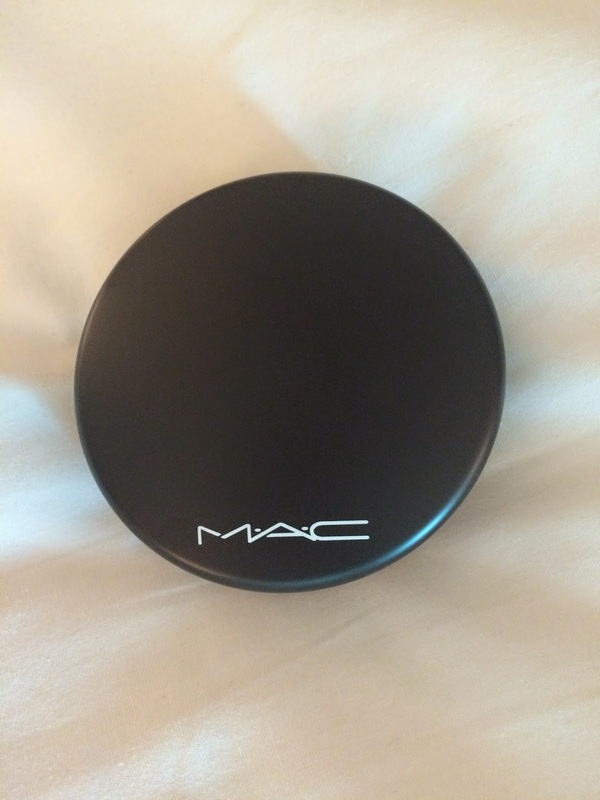 My last little gem I picked up was M.A.C. 's Prolongwear Blush in 'Stay By Me'. My last blush seemed to make my cheeks slightly orange with too much of a shimmer so I knew it was time to upgrade... 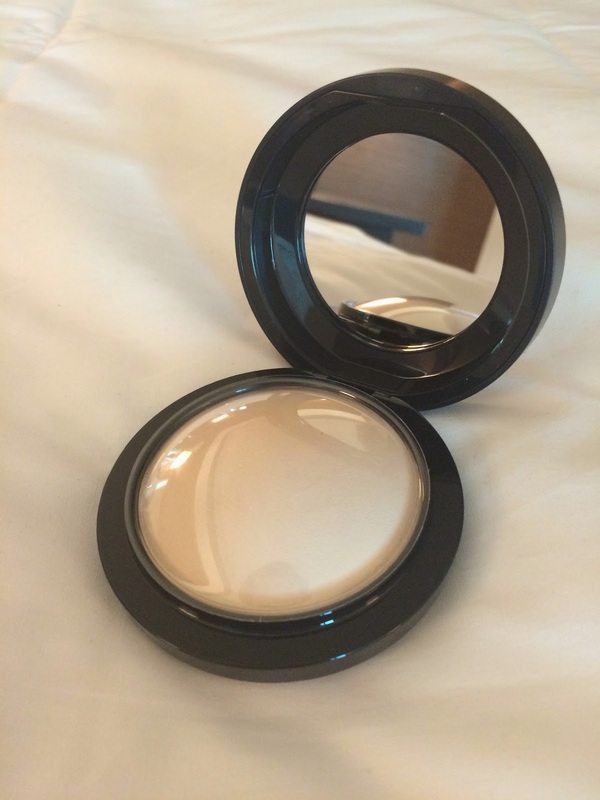 This beauty is amazing, it goes on matte and stays put all day - total dream! Woo!! I must say, I was severely jet lagged in this picture as we had two parties to go to the night we got back from our 10 hour flight, 8 hour time difference... Ouch. Thank you M.A.C. for making me look alive when I definitely didn't feel it.. Pah! I'm dead chuffed with these purchases and highly recommend these products.